Course addresses how to prevent medical legal issues through proper documentation and appropriate recourses when a medical error or equipment failure incident occurs that could result in a legal case. Prevention techniques, error recognition, issuing appropriate apologies, and provider attitude are also reviewed. This course helps ground providers consider all objective information when deciding to utilize an air medical transport service, including ensuring the safety of the ground crew, the flight crew, and the patient during landing, transferring, and transporting. Featuring Barbara Maher, RN, EMT-P, FPC, MS (Paramedic, Flight Paramedic, and Nurse) University of Maryland Medical Center, University of Maryland ExpressCare Critical Care Transport Team, and Military Reserve Officer. Water emergencies are complex situations that require constant scene assessment and management. EMS responders play a pivotal role in caring for patients and rescuers at the scene, providing critical local knowledge and thorough pre-incident planning expertise. This course helps EMS personnel understand and quickly identify water rescue hazards, and reviews how to work cooperatively with local specialty and supportive resources to increase the likelihood of a positive outcome to these events. Floods are a leading cause of death from natural disasters. Flooding can also occur from man-made activities such as a ruptured water main. This program will identify various situations involving flooding and discuss the variety of injuries EMS personnel may encounter. Flood response safety will be emphasized throughout the course. 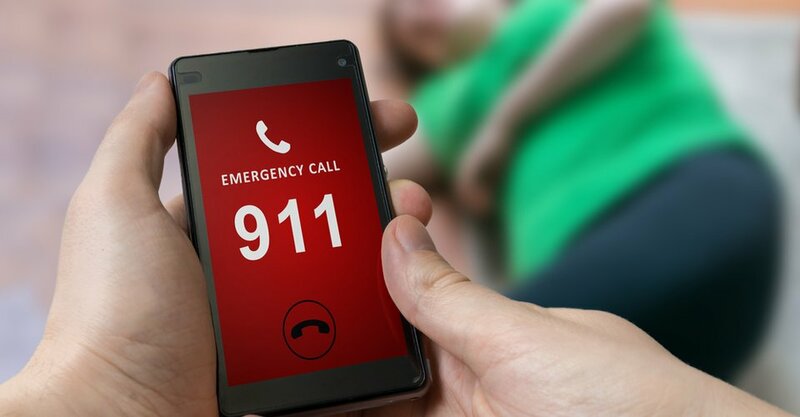 Responder wellness and fitness is often overlooked by EMS teams. In many instances, responders are confined to an ambulance during their shifts, or long shifts may leave little time to exercise. However, in order to provide the best patient care, responders need to remain physical fit and in a well condition. 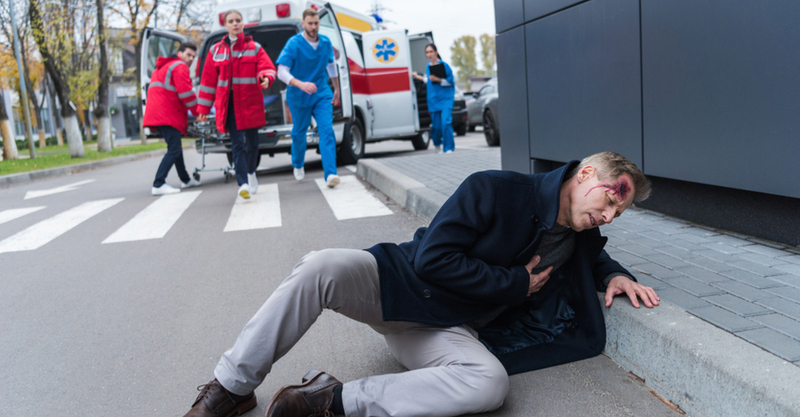 This course discusses the importance of responder wellness and proper fitness programs, as well as reviews ways EMS personnel can remain physically fit while stationed in an ambulance. Agricultural chemicals are used every day in the production of food and to raise livestock. Such chemicals appear in an expanding variety of settings and may be difficult to recognize or identify. This course helps EMS responders understand the increasing risk of encountering unidentified agricultural hazardous materials in any response setting. The course also reviews types of agricultural chemicals, reactions to exposures, decontamination procedures, treatment methods, and personal protection. Featuring Rob Schnepp - Assistant Chief, Special Operations Alameda County Fire Department Alameda, California. There are events that occur regularly across the United States and around the world. It is recognized that terrorism can occur in virtually any area of this country. As an EMS responder, you need to be able to recognize the potential terrorist scene and respond accordingly. The role of Disaster Medical Assistance Teams (DMAT) and Urban Search and Rescue (US&R) teams in responding to disasters. The history of the National Disaster Medicine System (NDMS) is reviewed. Medical services at mass gatherings are examined. Featuring Dustin Shelhamer, EMT-P, Texas 1 DMAT. The spread of disease is not new, but how we handle the outbreaks and the spread of diseases is critical. 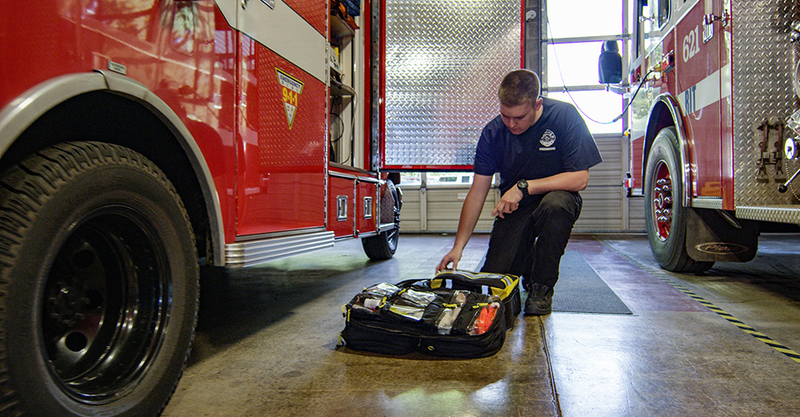 EMS providers are in a unique position to be among the first to recognize patterns or trends of illnesses in the community, and to help prevent a larger outbreak of a communicable disease. The current influenza threat from the H1N1 virus is reviewed. Featuring Katherine West, BSN, MSED., CIC, Infection control expert. Robert Waddell, Current Vice President - Sacco Triage System Cheyenne, Wyoming. Although the most familiar approach to vascular access is the intravenous catheter or IV, the most seriously ill or injured patient has little of no peripheral circulation allowing for rapid IV access. Fortunately, there is another option: intraosseous (IO) access and infusion. This course provides the guidelines for the proper use of IO devices, outlines the indications and contraindications of IO, and demonstrates why IO can be a viable alternative to IV in an emergency situation. Featuring Scotty Bolleter, BS, Paramedic Chief Centre for Emergency Health Sciences. Bloodborne diseases, modes of transmission, areas or risk, and safe work practices. Areas of risk in EMS and importance of "task-based" use of personal protective equipment when risks are identified. Satisfies bloodborne pathogens standards refresher requirements from OSHA. Featuring Katherine West, BSN, MSEd. CIC, Infection Control Consultant Infection Control/Emerging Concepts, Inc. Course reviews the components of triage, important assessment points, how to classify and tag victims, and the importance of regular training with multiple agencies, especially area hospitals. Features START triage system. Signs and symptoms associated with bloodborne and other communicable diseases are reviewed. Course covers the latest on hepatitis B and C, as well as the effects of the universal hepatitis B vaccine on healthcare workers. MRSA, the H1N1 virus, HIV and how to protect yourself from exposure are included. Post-exposure care, follow up, and the Ryan White Care Act are emphasized. Featuring: Katherine West, BSN, MSEd, CIC, Infection Control Consultant Infection Control/Emerging Concepts, Inc. Course reviews EMS duties at HazMat incidents, training needs, decontamination preparation, PPE levels, and patient treatment. Entrapped patients present unique challenges. This class focuses on the basics: scene safety, establishing medical command, patient care, adapting your assessments, and calling for resources before you need them. This class identifies types of pain and reviews their characteristics and qualities. Multiple pain assessment tools, non-medication pain management techniques, and the use of Morphine, Fentanyl, and Nitronox are presented. This class reviews the components of good decisions and how critical decision making can be improved. Discusses the role of knowledge, education, and experience in improved decisions. This skill improves over time with the support of mentors and preceptors. When errors occur, they must be used to learn and improve decision making. Featuring: Ed Racht, M.D., Medical Director, Austin-Travis County EMS, Texas. The program reviews signs, symptoms, and treatment of MRSA, risk factors in the environment, and outlines the various levels of cleaning, disinfecting, and decontamination that are necessary. The importance of infection control guidelines and the necessity of performing routine cleaning after every patient transport are discussed.